Oil prices hung below $93 a barrel Tuesday in Asia, holding gains from the previous day as crude followed global stock markets higher. 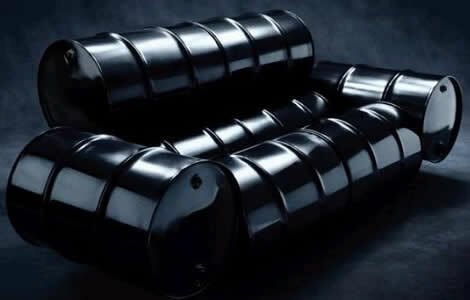 Benchmark oil for June delivery was up 3 cents to $92.60 a barrel at late afternoon Singapore time in electronic trading on the New York Mercantile Exchange. The contract rose $1.09 to settle at $92.57 in New York on Monday. Brent crude for July delivery was up 33 cents at $109.12 per barrel in London. Crude has slumped from $106 earlier this month because of signs global economic growth may slow more than expected this year. The possibility that Europe’s debt crisis will cripple the continent’s economy and crimp demand for oil also helped drag stock markets and commodities lower last week. But Asian markets gained Tuesday after Wall Street perked up in its first trading session of the week. Crude traders often look to stocks as a measure of overall investor sentiment. Some analysts say crude will likely rebound amid a slowly improving U.S. economy and strong demand from developing countries. “Barring the worst fears of financial markets, prices are likely to recover from current levels as market fundamentals reassert themselves,” National Australia Bank said in a report. Traders are also closely watching China, where data in recent months has suggested growth in the world’s second-largest crude consumer is weakening. Chinese Premier Wen Jiabao said over the weekend that his government is ready to make more moves to boost growth. In other energy trading, heating oil was up 1.2 cents at $2.88 per gallon and gasoline futures added 1.3 cents to $2.88 per gallon. Natural gas gained 4.1 cents at $2.65 per 1,000 cubic feet.